The Standard Room is perfect for everyone. Built with traditional Italian materials and with features for all your needs. We have a variety of Standard Rooms available for up to four people, with Double Rooms, Twin Rooms and Double Rooms with Bunk Beds. Our Standard Room used traditional Italian design throughout with contrasting dark and white colour schemes and tiled flooring. It's also packed with facilities for your every need. Our Standard Room comes in three different styles to suit the need of our wide variety of guests. Our Double Room is perfect for couples. Every room comes with a double bed. Our Twin Room is perfect for sharing, with two single beds and all the same facilities as our Double Room. 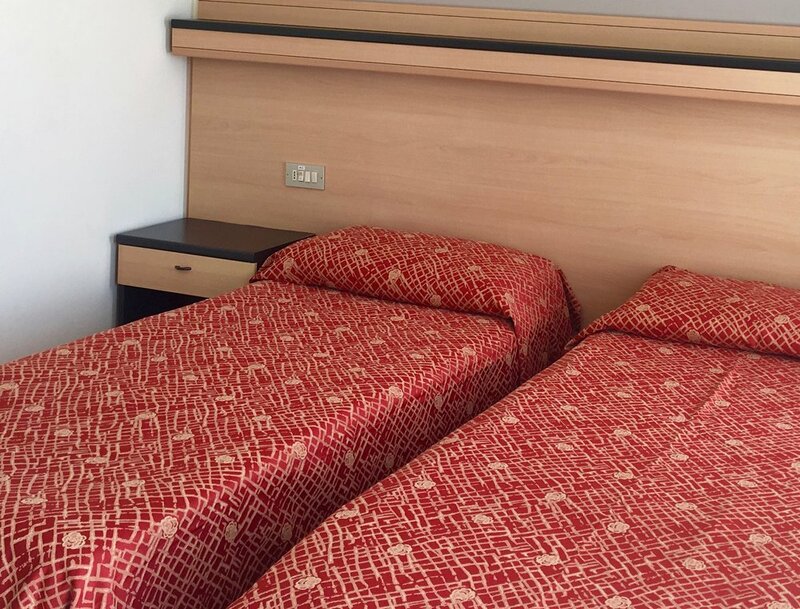 Our Double Room with Bunk Beds is great for families. It contains the same double bed and a bunk bed for two children. We know what it's like, you come on holiday and end up packing the kitchen sink! No worries, every Classic Room comes with plenty of wardrobe space and hangers to store clothes for your whole holiday. The Standard Room features an LED TV with English Channels so if you fancy some downtime in the room you'll be able to understand what it's all about! Our Standard Room Bathroom provides everything you'll need including a built-in hairdryer, shower and large sink. In addition. 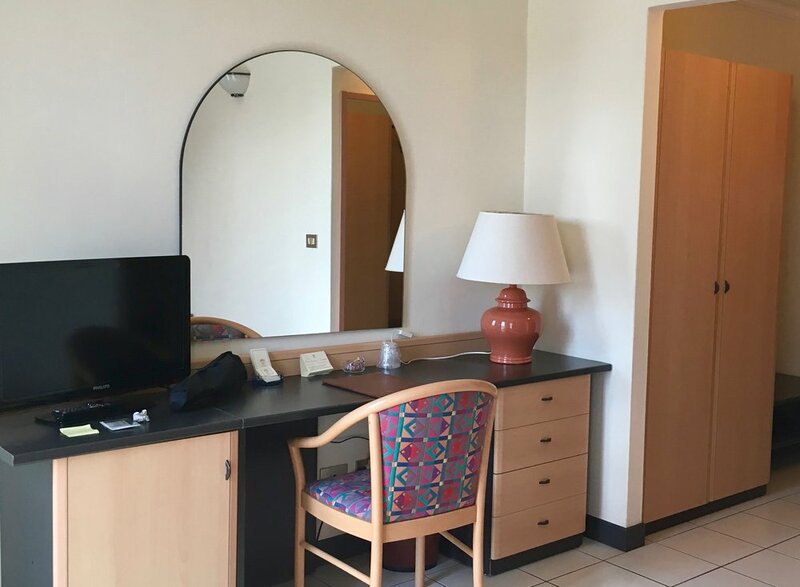 you'll find an International Shavers Plug to use or charge electric razors and complementary towels for use within the room. In addition to these many facilities, you'll find even more. Every Standard Room contains a telephone with free wake-up service and a safe to secure your personal belongings. Every room also includes a fridge. In addition, if you book directly with principepalace.com you'll receive a free drink on arrival. Prices listed are for Standard Rooms only. When sharing with two adults, reductions for children are available. From 0 - 2 years, 85% discount per child, per day, including cot/bed. From 3 - 7 years, 50%. From 8 - 12 years, 40%. From 13 years, 30%. All prices are per person, per night, half board and excluding drinks. Taxes are included except the compulsory Tourist Tax levied by the Italian Government.